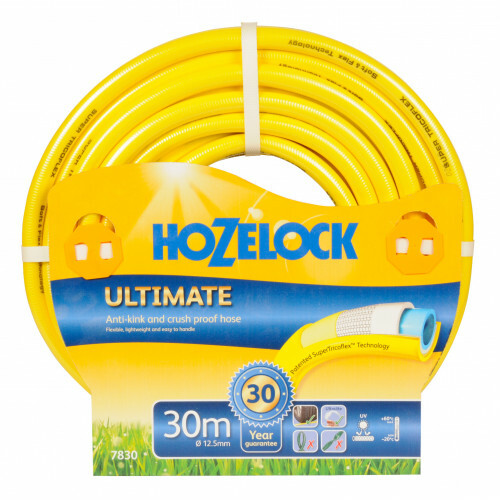 30 metre anti-kink and crushproof hose with Super Tricoflex technology. Light and flexible and very easy to handle. Supple and soft, weather proof with UV and frost protection plus 30 year guarantee. You cannot buy a tougher hose or a longer guarantee.